A career educator, I have taught students from 7th grade to college level. I have a BA degree in English from Carson-Newman College and a Masters from George Mason University. 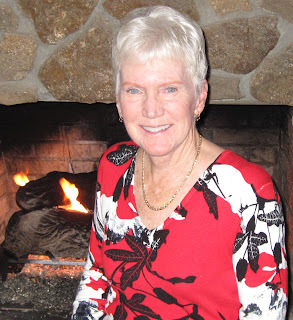 I belong to Author’s Guild, Virginia Writers and Lake Writers. I relish talking to budding writers at writing conferences and workshops. When not writing, I enjoy boating, kayaking, golf and yoga. My husband and I love to travel, especially when any of our six grandchildren are involved. I have long been interested in culture and society in the South where hard-felt, long-held feelings battle with modern ideas. I live at Smith Mountain Lake, Virginia. How do you find time to write and do a demanding job? It’s somewhat easier now that I’ve retired from full-time teaching, but I still have to discipline myself to stay on task. I dedicate several hours every day to writing—usually in the a.m. when I’m more creative. What inspired your latest book? A Revolutionary War estate rumored to house a ghost. What do you think readers will like about your book? 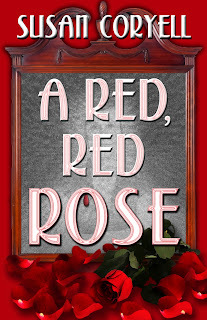 A Red, Red Rose is a “cozy mystery,” meaning it takes place in a small town or village and revolves around characters most readers could easily see as friends or neighbors. Cozies are big on mystery and short on gore. It’s also a Southern gothic, involving an old mansion, some quirky characters and the paranormal. With all of this, what’s not to like? Would you share a bit about your next project? My next book may also involve the paranormal. Twin teenaged boys—one a pitcher and one a catcher— can telepathize with each other. It, too, would be a cozy mystery. What's your favorite way to interact with fans/readers? I enjoy signings and readings. I’ve done panel discussions (on school bullies for my YA novel Eaglebait), mini-writing workshops, and literary analyses of my own books. How much fact is in your fiction? I wrote Eaglebait while I was teaching middle school, so my “research” was done in the laboratory of my own class room. The characters were fictional. For A Red, Red Rose, I did extensive research on the history of Southern Virginia (the setting), the Civil War, slave burials and graves and the construction of a hydroelectric dam which created the fictional Moore Mt. Lake. What movie star would be perfect for (your main character) and why? For A Red, Red Rose I’d choose Emma Stone. She has just the right mix of “Gee Whiz!” and spunky resolve. What makes your book/characters unique? Ashby Overton in A Red, Red Rose is able to adapt to a changed culture without losing sense of self—indeed-she gains insight into her own values as a result of change forced upon her and becomes a far more complex character as a result. Luke Murley, the romantic interest, seems aloof, almost harboring a chip on his shoulder as he clashes again and again with Ashby. Yet, she realizes there are intriguing depths to Luke’s character which drive her determination to know him better. What are your top three reasons for writing? Writers have to write. Curse? Blessing? I know not, but I have no choice but to keep at it. Is there a different genre or type of book you’d love to try to write? Actually, I have written a non-fiction memoir for a fellow who was a sniper in two wars. Had a NY publisher ready to offer a contract and then the Marine refused to authenticate his service so it was never published. Some day when he is dead and can’t shoot me (I no longer trust him, obviously) I may bring it out as “based on a true story” or something. I found nonfiction exhausting. Yikes! A sniper? Moving right along....what's your favorite writing/editing/query-reading snack? I NEVER eat or drink while writing! Once when I had been at the keyboard way too long, I heard an odd growling sound. It took a few seconds to realize it was my stomach—empty from hours of work. Describe the best writer you know and something wonderful he or she has written. Ann Patchett’s Bel Canto is a gem. I also admire everything Wallace Stegner has written—especially Crossing to Safety. Ian McEwan’s Atonement is awesome. Fill in the blanks: Writing/Editing books is like ______. You never know _____. Mining for gold. You never know what you will dig up. Not every idea is a winner. Written or not, what’s the most ill-conceived story idea you’ve ever had? I tried writing a YA romance that was so ridiculous I laughed myself into hysteria just reading the draft. If you could meet one of your characters, who would it be and where would you meet? I think I’d like to meet Rosasbelle, the spirit in A Red, Red Rose. Let me clarify: I’d like to meet Rosabelle on one of her GOOD days. A whole summer to absorb two hundred years of Overton ancestry—their lives and loves and secrets. Especially their secrets. Twenty-year-old Ashby Overton, invited by her aunt and uncle to spend the summer at historic Overhome Estate as a companion to her young cousin, hopes to unearth her ancestral roots and the cause of a mysterious family rift involving the horseback riding death of her Grandmother Lenore many years ago. Situated at Moore Mountain Lake, Virginia, the imposing mansion is an idyllic setting for Ashby, the aspiring romance writer. From the moment she enters her room, Ashby feels an invisible, enfolding presence. This was Rosabelle’s room the housekeeper tells Ashby. But who was Rosabelle? As summer unfolds, so does the shroud of silence surrounding Overhome. Ever present is a force Ashby never sees, only feels. Candles light themselves, lullaby notes fall from the ceiling, the radio tunes itself daily. And roses meant for Ashby appear in the unlikeliest places. Are the roses a symbol of love or do they represent something dark, something deep and evil? Full of heartbreak and adventure, fear and passion, the summer leads Ashby on a suspenseful, terrifying journey as she navigates centuries of family strife and cultural clashes alongside the puzzling parameters of the spirit world. Ultimately, she discovers that even the most fiercely guarded secrets are destined to be revealed. E-books: Kindle, Nook, AllRomance/omniLit, Fictionwise and iBookstore! I am fascinated by any story that includes history, whether it involves marching armies or some quiet tale about old houses, small villages, and the people who live there. Interesting interview. Thanks, Joe. 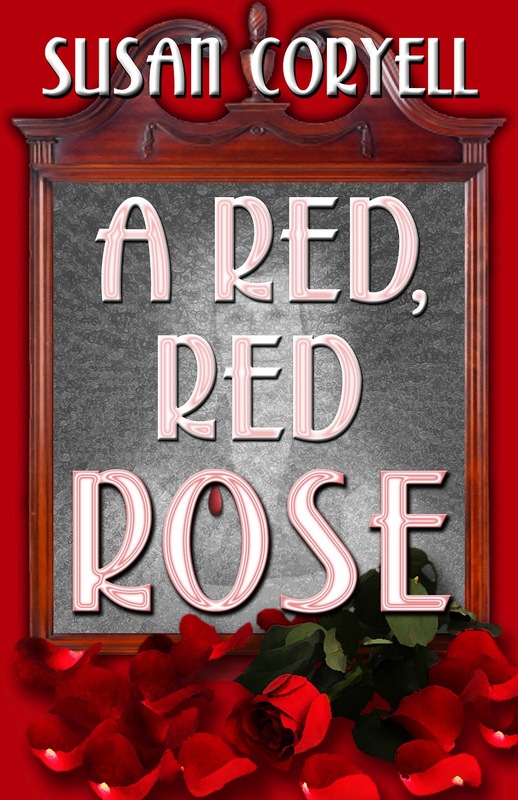 I hope you'll read A RED, RED ROSE and maybe give me a review on Amazon. Thanks for being my guest, Susan! I loved learning more about you and your work. I, too, am a history buff and especially like stories that bring in the paranormal. Thanks, Teresa! I'm blown away with this amazing piece. You are a jewel! Most interesting! Much luck with the new book! Thanks, Pauline. I appreciate your comment. Like Joe, I love mysteries that include history and paranormal elements. The book sounds fascinating! Wishing you every success! Thanks, Jacqueline. Hoping you'll read and review, perhaps. I found the history fascinating. Interesting interview, Susan. Your theme intrigues me. I agree, we write because we have to. I vote for "blessing." Best of luck with the book! I'd like to think you're right, Anita. Blessing is how I shall try to view our "gift." Susan, I enjoyed your interview -- Teresa asked intersting questions. I do love history mixed in with mysteries and paranormal on top of that -- great! Thanks, Betty. Teresa is a genius! I had fun doing the research and threading it into the story. The ghost practically wrote her own script!